We should have 9 in stock. Need more? It usually takes us 1 - 2 weeks to bring more in. If you're looking to make a statement, look no further! 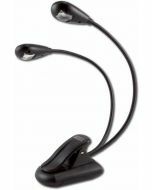 The powerful HammerHead LED Music Light's eye-catching design will make you - and your music - the star of the show. 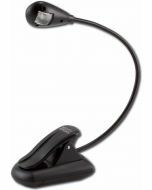 Its six powerful, bright white LEDs last 100,000 hours, and its flexible gooseneck illuminates every note. Take the portable HammerHead with you - whether you're DJing, playing, or singing - and make every performance perfect. 10.1" x 3.8" x 2.1"